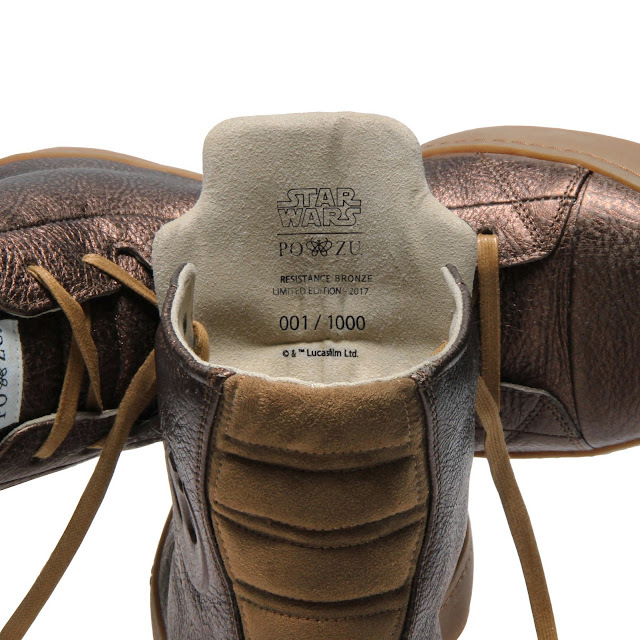 The latest in the co-branded Star Wars Po-Zu limited edition footwear range has been announced by Po-Zu today. 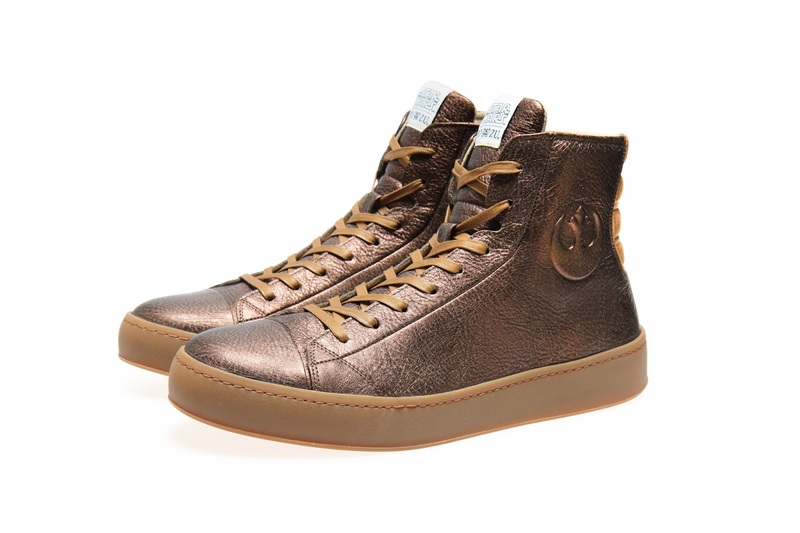 Joining the women’s Silver Linen RESISTANCE High Top, a Limited-Edition High Top Bronze Leather RESISTANCE Sneaker for men available to pre-order today. 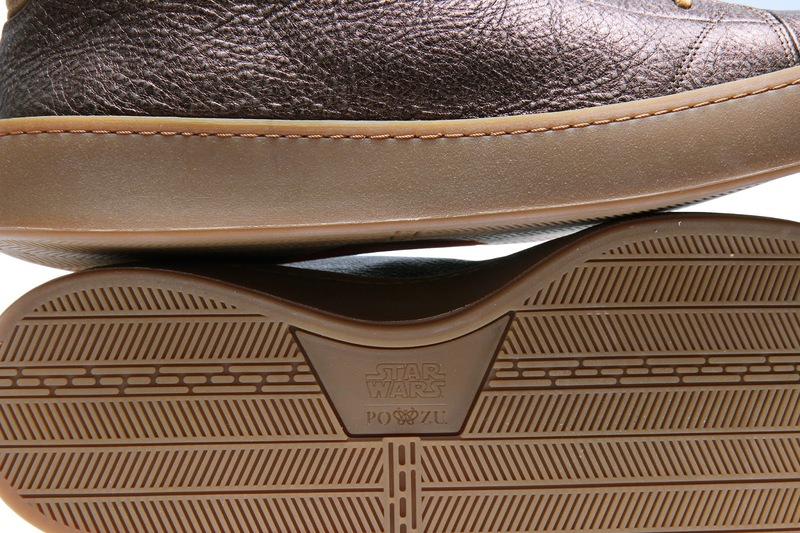 Star Wars fans and sneaker collectors now have the opportunity to order 1 of the 1,000 limited production run, each pair stamped with a unique number on the tongue’s lining. 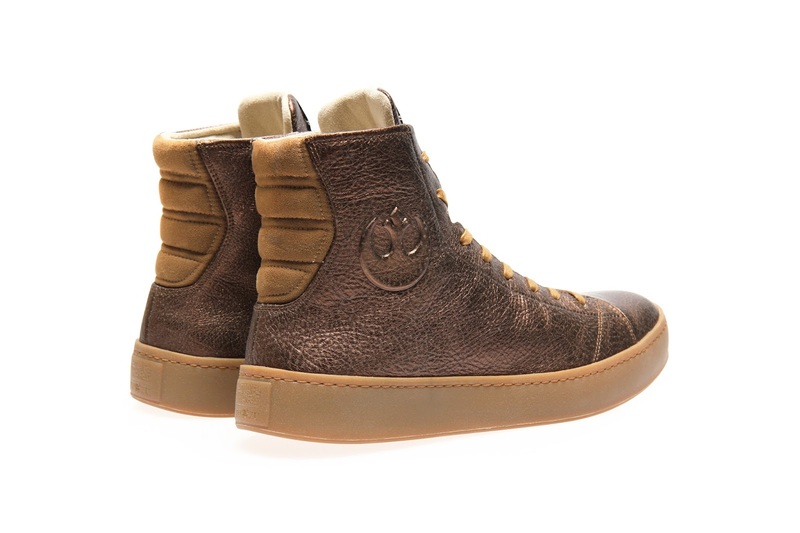 Handcrafted in Portugal, these limited-edition Sneakers are made from chrome-free leather, and feature a raised-embossed official Rebel Alliance logo, cushioned tongue, quilted rear panel, removable memory foam Foot-Mattress™ (allows orthotics placement), and a high-performance grip natural latex sole. Retailing at £185 and available to pre-order exclusively online at www.po-zu.com, the limited-edition sneakers will be available to ship at the end of November ahead of the release of Star Wars: The Last Jedi this December and in time for Christmas. The current RESISTANCE range consists of highly wearable organic cotton high-top sneakers for women, men and kids alongside the editions inspired by the main characters in the film such as Rey, Poe, Finn, Chewbacca, BB-8 and stormtroopers. 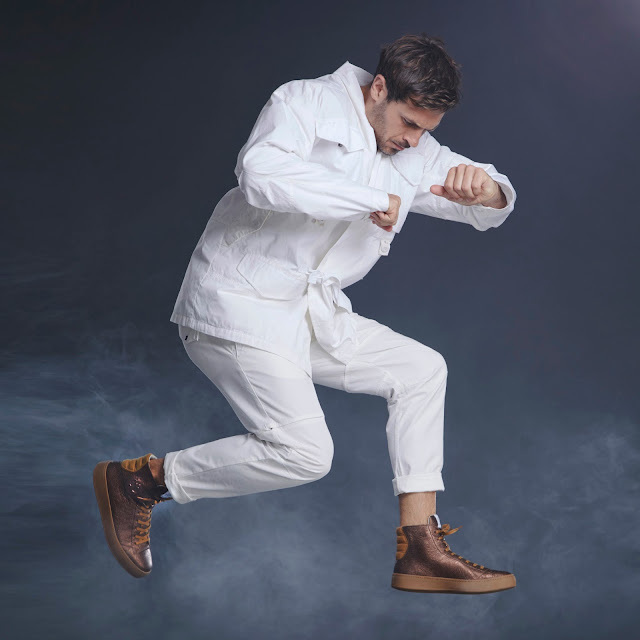 Fans of the range will be able to view the full collection at the Museum of Brands for London Design Festival from 1st September – 12th November.